Take charge of US Allied forces as they face tactical challenges and punishing terrain during a surprise offensive maneuver led by the relentless resurgent Oberkommando West. Watch the dramatic Battle of the Bulge unfold through the eyes of three different Officers; experience first-hand the unique struggles they encounter during the war, and how the weight of your actions will shape their future. The harsh reality of war is that no one is truly safe, and your Companies are not excluded from this ultimate truth. Bear witness to their heroism in the face of extreme odds, and fight to win control of the strategically critical Ardennes region. 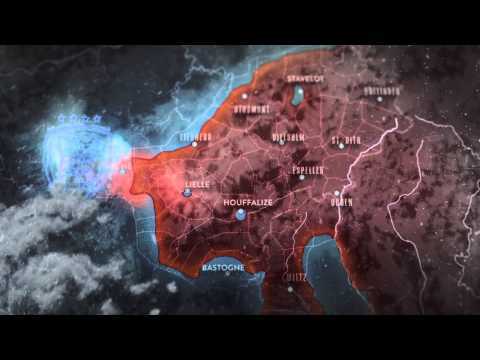 NON-LINEAR CAMPAIGN: Take control of a strategic meta-map covering the key locations of the Battle of the Bulge. Choose the sequence to play the missions to ultimately defeat the mighty German Force and turn the tide of war. 3 ICONIC COMPANIES: Take command of the versatile Airborne unit, the relentless Mechanized Infantry and the heavy hitting Support unit and choose which one to deploy for each mission. Each Company is under the authority of 3 different Officers; each with their own distinct style, perspective and Abilities. CUSTOMIZATION: Customize each of your Companies’ 4 unique Abilities with up to 6 selectable upgrades. The unique skill tree offers 72 multiple levels of improvement allowing players to specialize their commanders throughout the course of the campaign. Rest of World (locked out of China, Taiwan & Hong Kong).